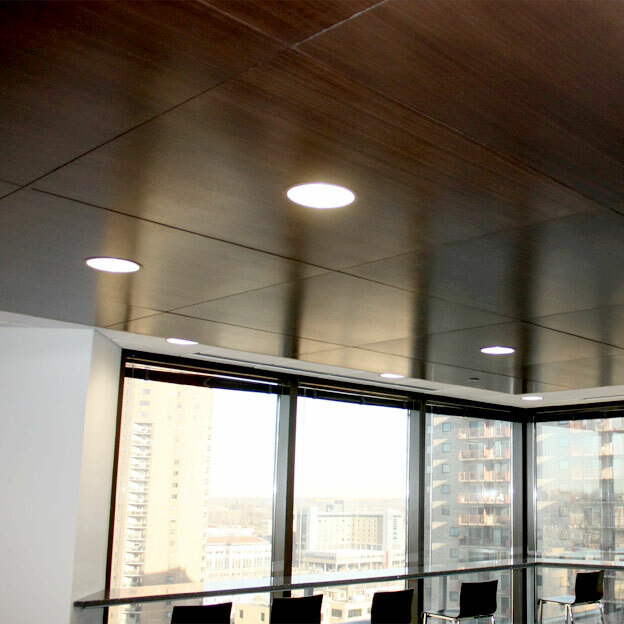 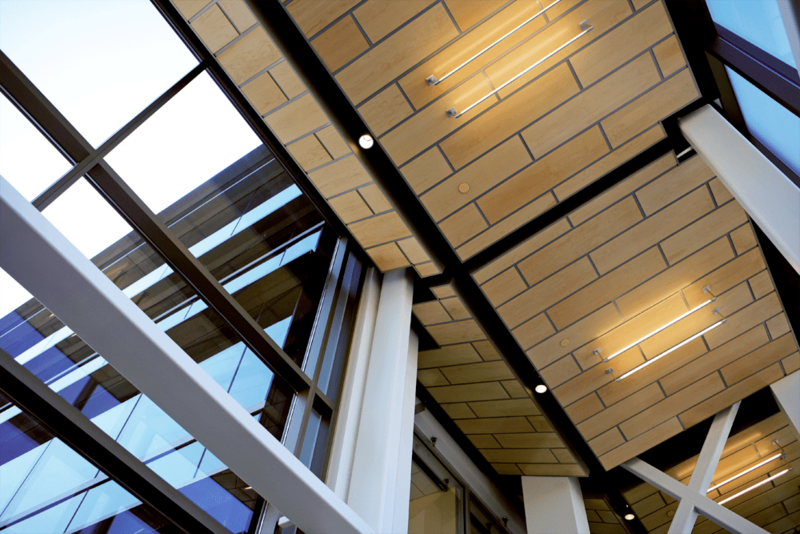 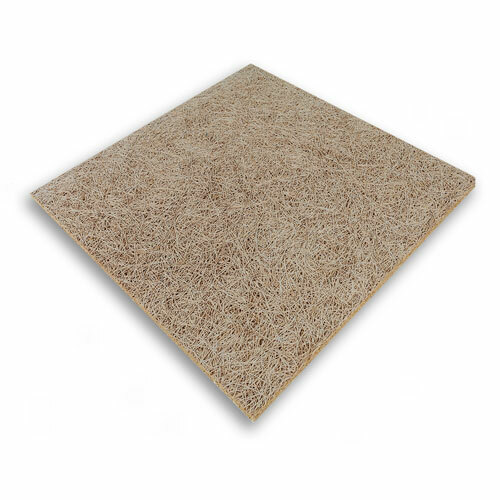 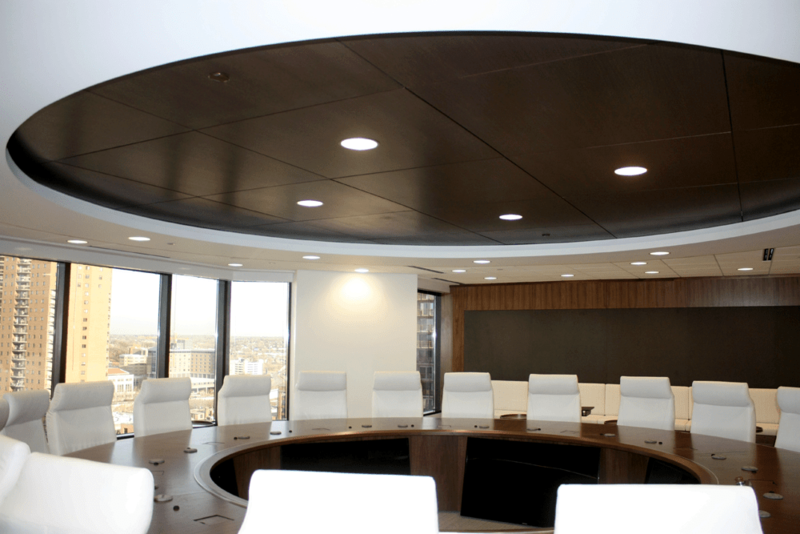 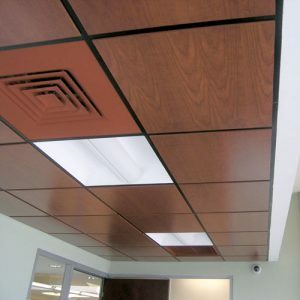 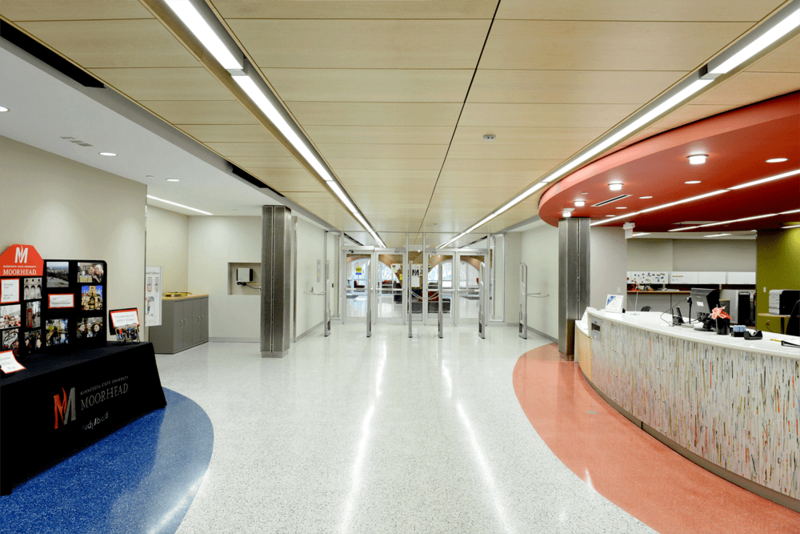 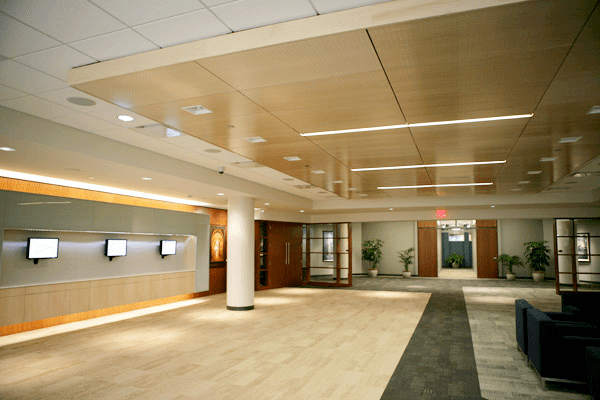 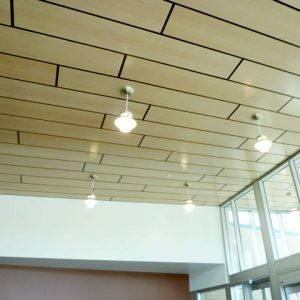 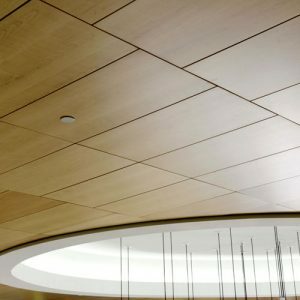 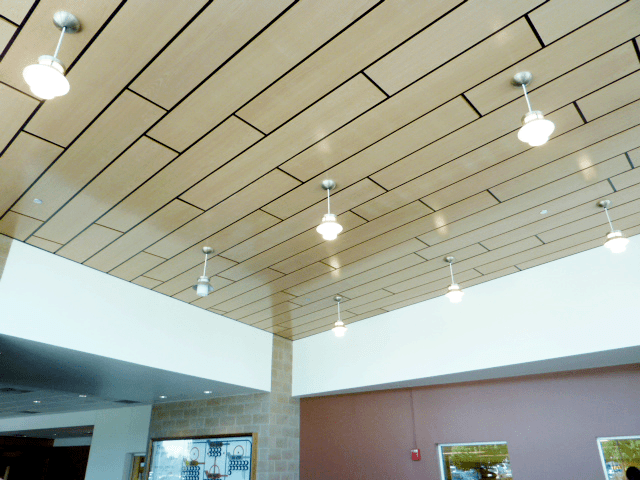 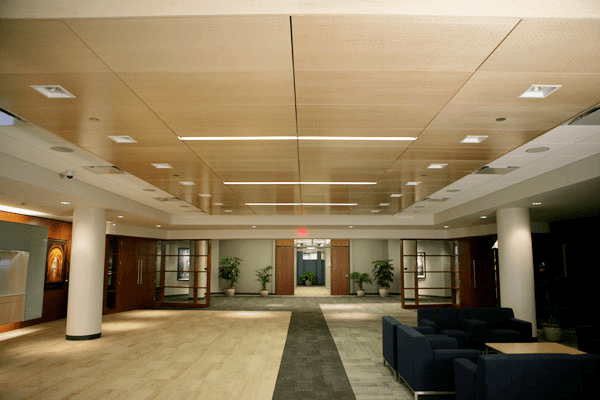 Fusion acoustic ceiling and wall panels feature wood veneer face, either in flat panels or with a variety of perforation options. 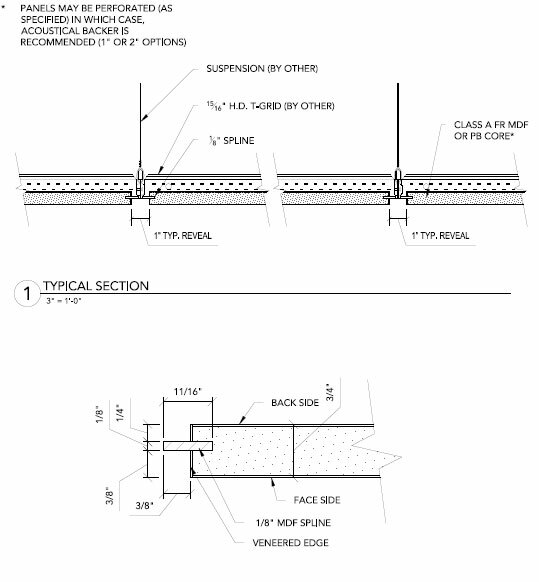 Standard perforations are available in 4mm, 6mm, and 8mm diameter holes spaced 16mm or 32mm on center in both square and diamond patterns. 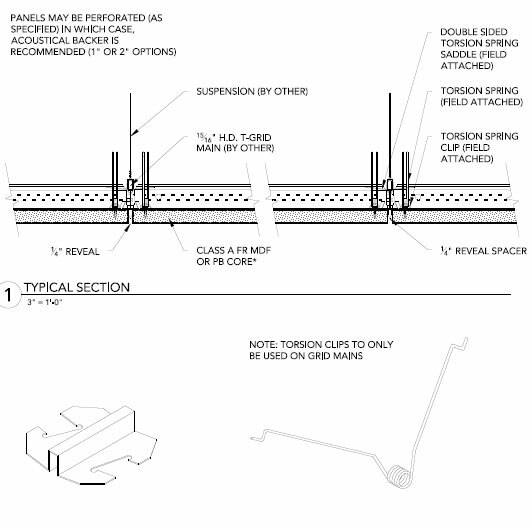 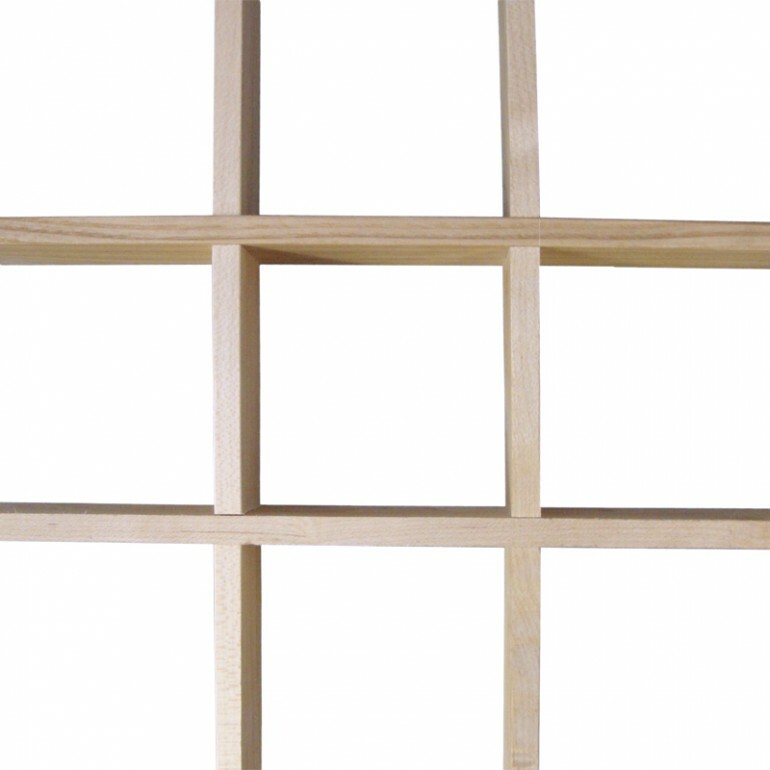 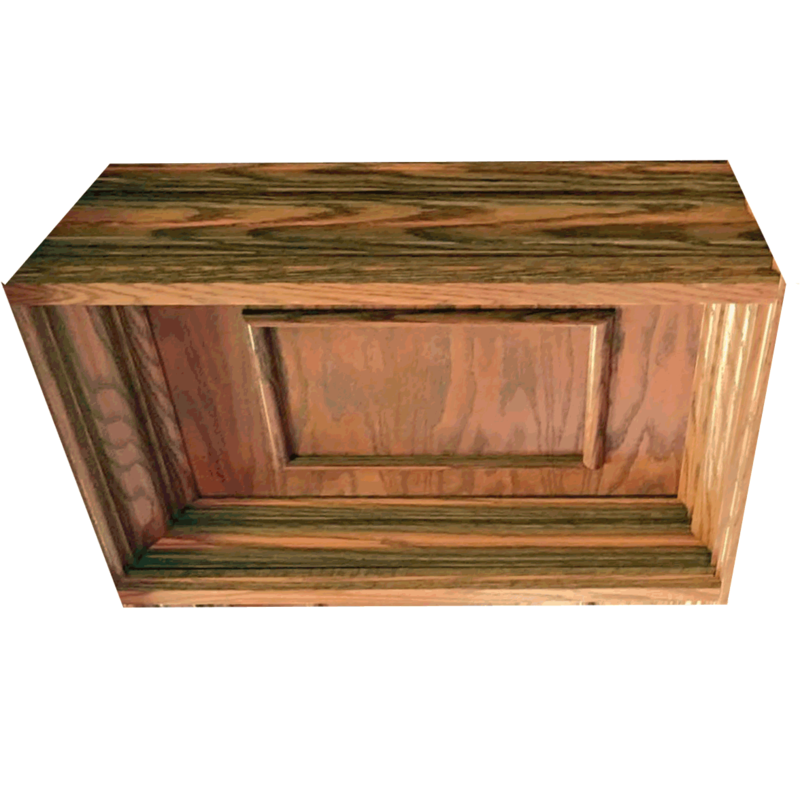 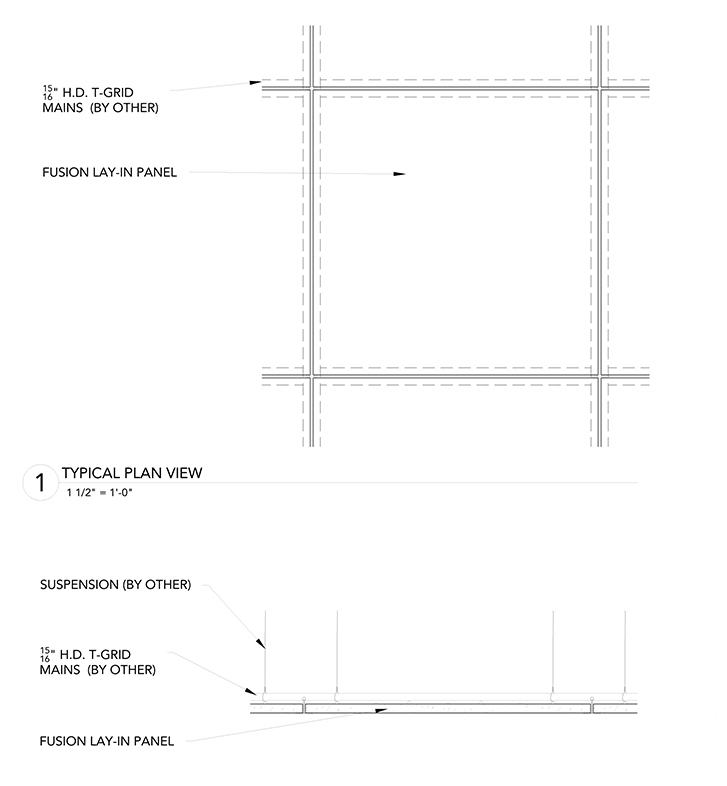 Custom diameter, spacing, and patterns are available, as well as slotted designs. 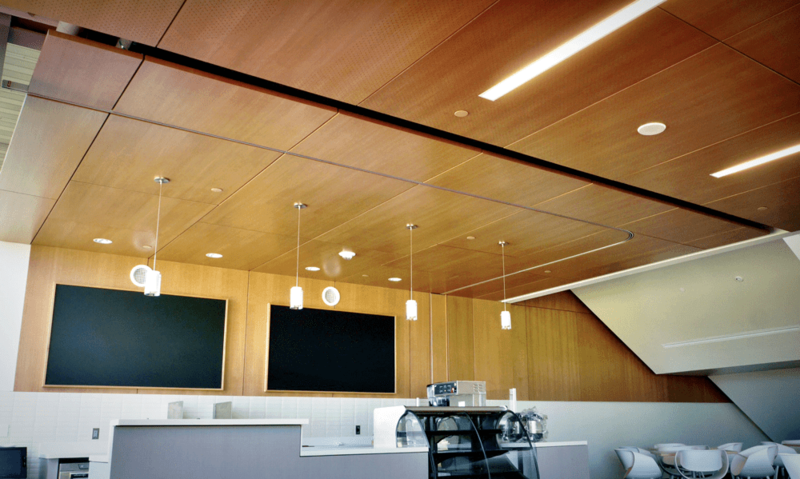 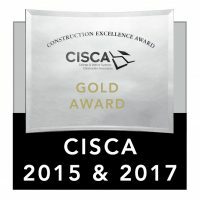 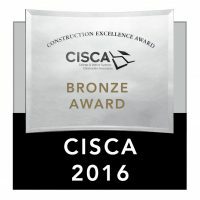 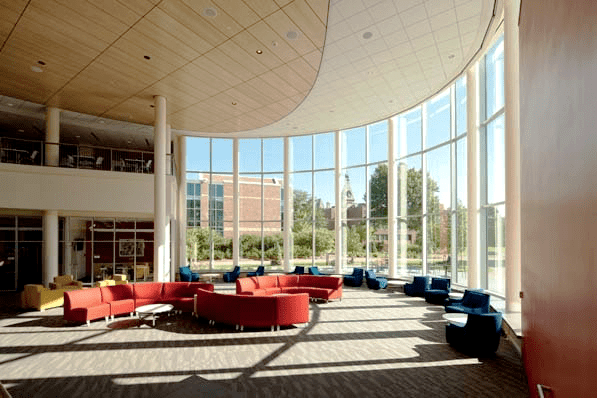 For projects requiring sound absorption, acoustical backer may be installed above Fusion ceiling or behind Fusion wall panels.